In my last album, I tried to respond to the growing extremism—both violent and consumerist—in our world with a call to return to harmony and balance, to the middle way, to "The Centre." However, in this album, I felt compelled to revisit the music of those who have gone before us on this "middle way" to the Centre. I believe many of our current global difficulties are deeply related to a kind of cultural amnesia—cut off from our cultural, artistic, and intellectual heritage, many people today feel disconnected, out-of-place, and out-of-balance. 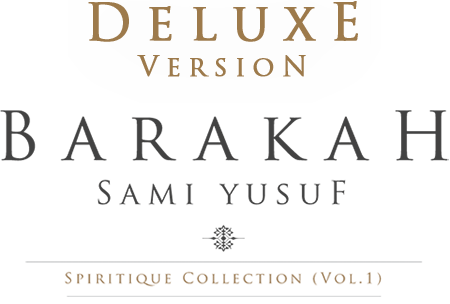 In response, this album was produced as a celebration of over 1000 years Islamic musical tradition and an invitation to bask in the barakah of this remarkable heritage. I hope this album serves as a tadhkira—a reminder—of the great tradition and civilization to which we are all heirs, and I pray that listeners from all backgrounds will find a home, find comfort, and find peace in this blessed music. 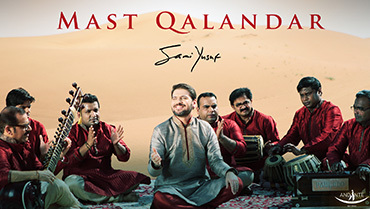 "Sami Yusuf’s music has two major characteristics that we cannot find in any other examples of traditional music in our time. Its nostalgic and seemingly sad melody narrates the story of our separation from our roots. If Rumi complains of this pain of separation through the reed, Sami resonates that pain by his soothing voice and penetrating music. But Sami doesn’t stop there. 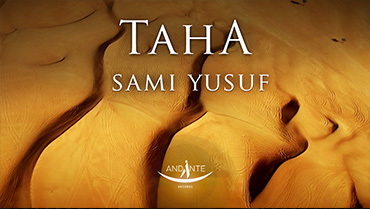 Like Rumi’s musician who played before a drunken Turk and narrated the mysteries of man’s covenant with God, Sami’s music also takes the audience to the presence of the blessed Prophet Muhammad, and ultimately through him to divine presence. In the ugly world that we live today, with each song Sami opens a new door to heaven. I do not know of any type of musician in our time who combines these qualities with a noble soul and the utmost degree of humility as Sami Yusuf does." — Mohammad H. Faghfoory, Professor and Director, Graduate Program in Islamic Studies, George Washington University. 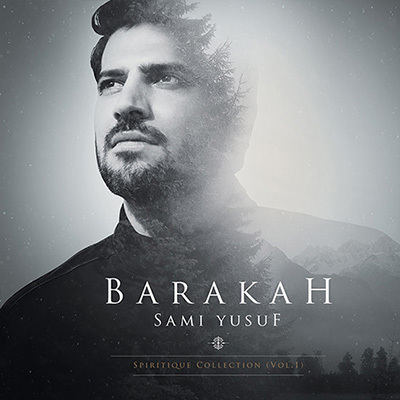 "The soul is stirred, elevated and inspired by Sami Yusuf's glorious music in this wonderful new album so aptly named Barakah. 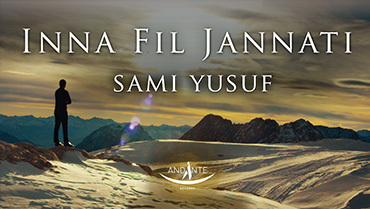 "Sami's new album offers a unique showcase for the diverse and mighty sounds of Islamic civilisation" — Dr Tim Winter, Lecturer in Islamic Studies, University of Cambridge, and Dean of the Cambridge Muslim College. "Transporting! Brings tears to ones eyes because the beauty is too much for the soul to bear without overflowing!! Traveling through such a spiritual and timeless universe of music in glorification…" — Virginia Gray Henry, Director of interfaith publishing house Fons Vitae. “One of the most beautiful things I have ever heard.” — Dr. Umar Abd-Allah, American Muslim scholar and founder of the Nawawi Foundation. 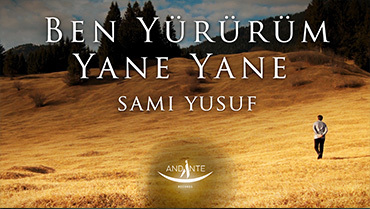 "Sami Yusuf's new album is a stunning display of talent as he seeks to remind us of our spiritual life in God. His vocal expertise, poetic renditions of song in praise, declare the glory of the Divine and in doing so, reminds all of their abilities to seek Him in our world." — Father Nabil Haddad, priest in the Melkite Greek Catholic and director of the Jordanian Interfaith Coexistence Research Center (JICRC) in Amman, Jordan. “When we hear Sami Yusuf’s stunning music, when we hear his voice singing the names of God, we are drawn into a deeper spirituality. I give thanks that Sami is using his talents to glorify the one God in this way.” — Bishop Dr. Munib Younan, President of the Lutheran World Federation. 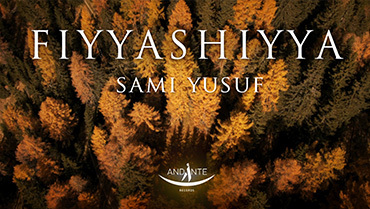 "Sami's beautiful music resonates with the soul, echoes with mind and vibrates with body. His albums uncover the wonders and beauty of faith in the Divine, especially as manifested by the Quran, the Sunnah of Prophet Muhammad and the Islamic tradition. 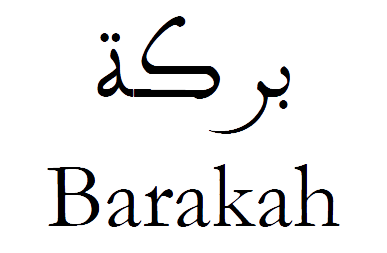 His new album Barakah takes one out of the worldly afflictions and pains to the timeless peace, tranquility and inner happiness in closeness to the Almighty, the Merciful. I am sure this album, like its predecessors, will touch the hearts of millions. Sami: May God embrace you with His Barakah." — Emeritus Professor, President of Foundation for Science, Technology & Civilisation, UK (Founder of MuslimHeritage.com and www.1001inventions.com). In a world filled with so much anger, ignorance and superficiality, I felt compelled to explore more deeply my tradition which, in recent times, has become so synonymous with violence and news bulletins. The result of my findings and research is to be found in "Barakah", celebrating 1000 years of musical tradition and heritage from North Africa to India most of which is sadly unknown to the masses. Extremist groups think they know better than over a thousand years of Islamic tradition and seek to erase it. That is why they blow up monuments and shrines and burn books and outlaw music. If their ears and hearts could only be opened to the profound beauty and truth of these traditions, they would put down their guns and pick up a drum, they would stop shouting in anger and start singing in love. "في عالم مليء بالحقد والجهل والسطحية، وجدت نفسي مضطراً لاستجلاء خفايا التراث الإسلامي، والذي أصبح في الآونة الأخيرة مرادفا للعنف وعناوين الأخبار. لذا فإن ألبوم "بَـــرَكة" هو ثمرة بحثي وتأملي، محاولاً من خلاله تكريم ألف سنة من التاريخ الموسيقي والتراث الإسلامي الذي امتد سحره وجماله من غرب أفريقيا إلى الهند – تراث غير معروف عند الجماهير للأسف. الجماعات المتطرفة ترى أنها تحمل دراية أوسع وعلم أمثل من تلك التي نجدها في التراث الإسلامي والذي يعود ثراءُه إلى آلاف السنين وتسعى بذلك إلى محوه وردمه. لهذا السبب نجدهم يفجرون الآثار والأضرحة ويحرقون الكتب والموسيقى. لو فقط فُتحت آذنهم وقلوبهم لعمق جمال وحقيقة هذا التراث لوضعوا أسلحتهم والتقاطوا الدف، لتوقفوا عن الصراخ بغضب وبدأوا بالغناء بحب. إن إطلاق ألبوم "بَـــرَكه" هو عبارة عن دعوة، دعوة للعودة إلى جمال التراث وروحانية الفن الإسلامي، ومقاومة القوى النابذة التي تمزق مجتمعاتنا وتخل بتوازن عالمنا. آمل أن يكون هذا الألبوم نسيم يدعونا إلى الجنة التي تتواجد وتكمن في كل واحد منا، في المركز "